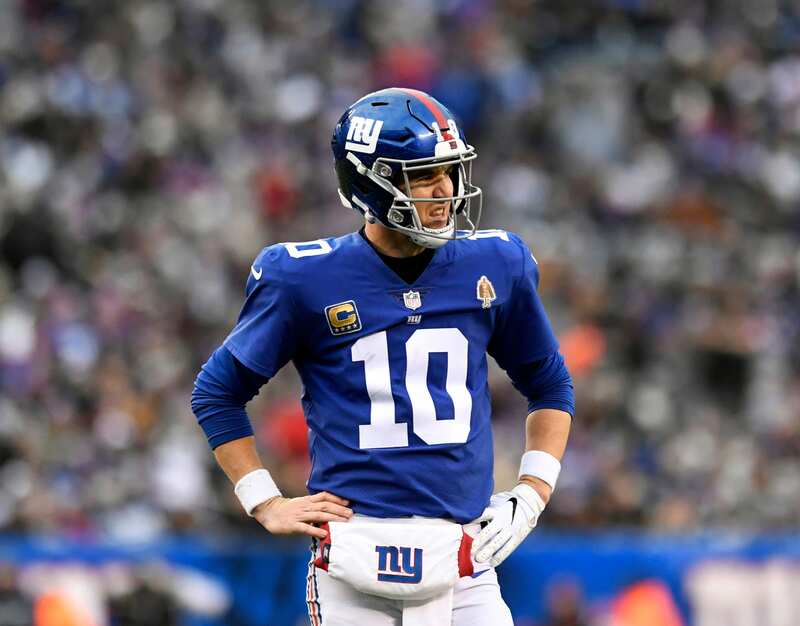 While this topic is certainly edgy considering the lack of capital allocated towards the quarterback position in recent years, primarily because of the loyalty to New York Giants QB Eli Manning, there’s a fact we must address before the 2019 NFL draft. *Disclaimer: This article does not effectively support the idea of passing on a quarterback – just a potential reason why they should. Recently, the “Kansas City” model has been thrown around like one of Tom Brady’s deflategate footballs. This model centers around a rookie quarterback sitting for a season to learn behind a more experienced passer, but this idea has caused many people to think this is a necessity. General manager Dave Gettleman is doing everything in his power to set a young passer up with all of the tools and weapons he needs to succeed. A solid offensive line, a generational running back, a stout wide receiver corps, and a talented pass-catching tight end. What more could you ask for? Don’t you dare say Odell Beckham Jr., it’s still too soon! The Giants have an opportunity to grab a franchise passer with the No. 6 pick in the draft, which is the most convincing argument to take a quarterback. The idea that he ‘must’ sit behind Eli Manning for one-season is simply not necessary, but if that’s the route the Giants want to take, so be it. Alternatively, Gettleman and head coach Pat Shurmur can invest heavily on the defense and begin to form a balanced team. The Giants’ defense ranked 16th in 2017 and 23rd in 2018. Their efficiency and productivity haven’t been elite, which is a primary reason we could see the defense be a priority in the upcoming draft. This would also imply that the Giants don’t feel the need to utilize Manning’s experience for a young passer, in favor of plugging them in immediately upon the completion of Manning’s contract in 2019. The bottom line, Manning is the team’s quarterback for the season ahead, so drafting a passer would indicate a changing of the guard in 2020. The benefit of learning being a veteran can be extremely beneficial – Patrick Mahomes and Aaron Rodgers are two great examples, but it isn’t always necessary if you have the impact players in place to help them succeed. Consider it this way – if management believes the QB they take ‘needs’ a year behind Manning, they shouldn’t bother wasting their time. With a pick as high as No. 6, they need to extract immediate value.